Wipe Hard Drive Data: What Does it Mean to Erase Your HDD/SSD? You clicked on the delete button, and you think that you have deleted your files from the system. Right? Sorry to say, but you are wrong. To leave no remnants, you need to have the Hard Drive Wipe. There are numerous software programs, which are specially designed for hard drive data wiping. Please note that Hard Disk Wipe is quite different from simply deleting the files that are on a hard drive. When you delete a file, the system marks it that it has been deleted. But on the hard disk space, which it occupies is marked as being ready for use. The space in which the deleted data is contained can be overwritten by new files that are put into the hard disk drive. For simple users who do not store important files on the drive, simply deleting the file will be sufficient for them. Thorough deletion will be just a waste of system resources for such users. But, for the people who want to go for secure deletion, then they have to go for HDD or SSD Wipe. Hard drive wiping plays a crucial role when it comes to information regarding a company and its client. The details of the company are beneficial for the business rivals. Therefore, to avoid any problem of leaking of their crucial data, it becomes mandatory to destroy the data permanently. Systems that contain vital details can be replaced or reassigned. In the case of malicious acts, the critical information in the system is recovered. For example, financial details like account numbers, and credit card numbers can be recovered from the hard disk drives, which have been recycled but not wiped clean. So, it becomes mandatory to do hard drive wiping. In fact, PC can also be benefited from the same, if and only if personal computers are being given away. By doing so, at least it will prevent or can also lessen the risk of identity theft, which is often done these days. The best and a perfect way to do hard drive wiping is to get a copy of Hard Drive Wipe Software or program that can automatically run from a compact disk. This program works by overwriting the existing file with any file. This results in covering the earlier data and making it impossible to get it back. For destroying the data physically, the hard drive wiping program is an environment-friendly alternative. The user would want to make the drive unusable when he is disposing of the hard drive that contains some important information. Hard drive wiping has become an important aspect of data management. 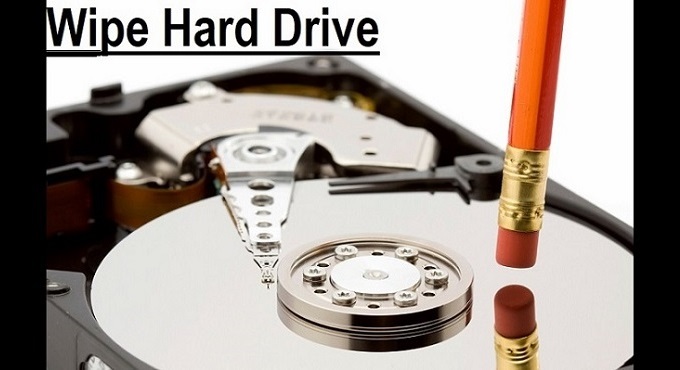 After the wiping of the data, hard drives are destroyed with the help of standard industrial machinery. As hard drive wiping is a useful procedure, thus, it turns to be a wise step, and you must go for it. You can hire a third-party agency for this task as they are experts and have years of experience in such job. By doing so, you can take a sigh of relief that your data is completely washed.